The 5 MW Solar/Wind Hybrid system consists of two large, utility-scale wind turbines totaling 3.4 MW’s combined with a 1.6 MW solar array. 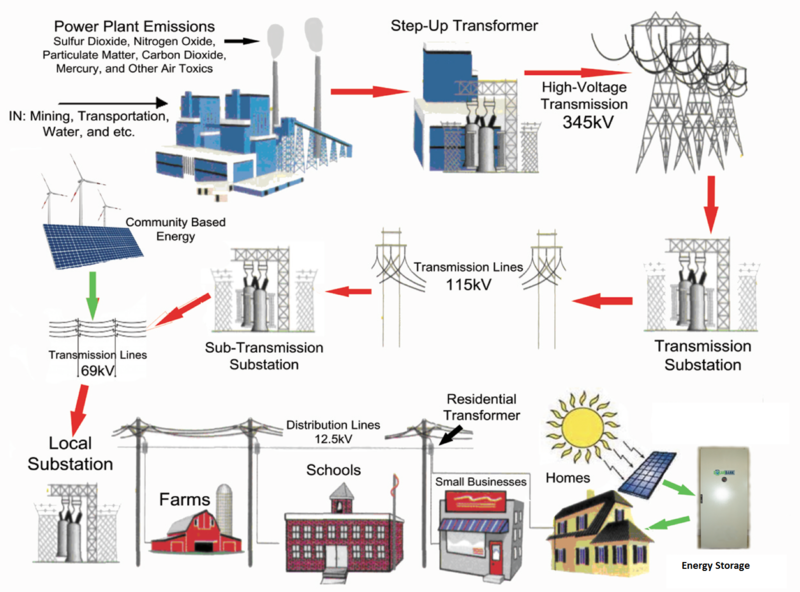 Being a hybrid facility, and having the ability to deliver power to the distribution system during the highest value times, these systems yield a higher IRR by selling peak energy at the avoided cost of delivered energy, as the solar covers summer peak and the wind covers winter peak, keep and market the Green Tags and provide ancillary services to the distribution grid. These Hybrids also help protect our communities from future carbon regulation risk, and help protect them from the rising cost of fossil fuel delivered energy. The capital structure for these hybrid energy projects can include a combination of Community ownership, tax-equity, long-term debt and possibly mezzanine debt. The capital structure for these hybrid systems can include a combination of Community ownership, tax-equity, long-term debt and possible mezzanine debt. All of the design, development, engineering, finance and construction is handled in-house with our partners. 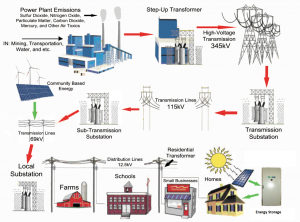 Also, Energy Storage can be added to the solar/wind hybrid system for additional efficiency. Besides the Solar/Wind Hybrid system, GreenWorld can partner with you in developing “wind only” community, municipal and utility co-op projects.